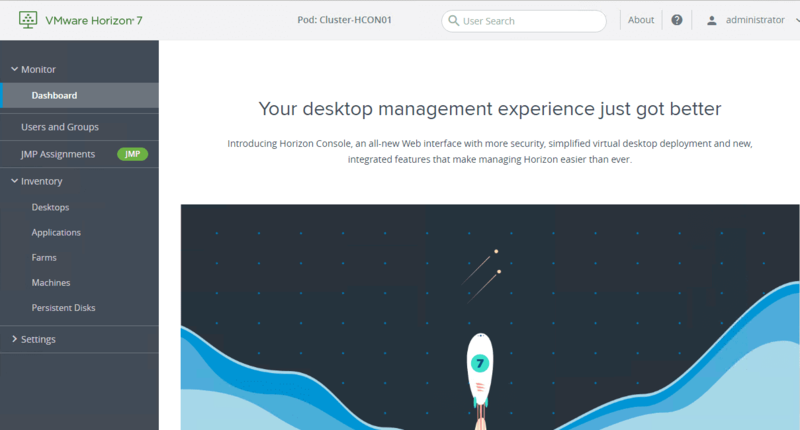 Just a few days ago VMware released Horizon 7.8 with a ton of great new benefits including more features being added to the Horizon Console which is he new modern HTML5 interface for administering Horizon View. 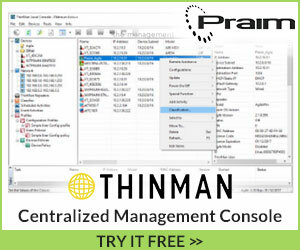 VMware certainly has as the end goal feature parity with the Horizon Administrator. 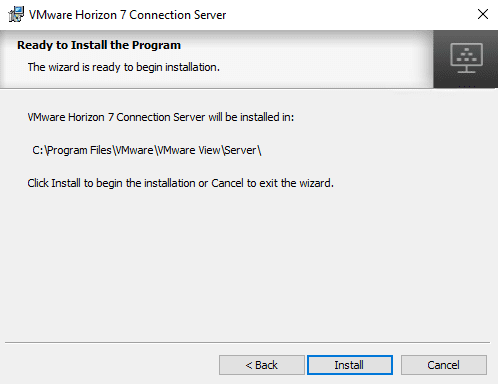 I have a Horizon 7.7 environment running in the home lab, so I wanted to get started upgrading the Horizon 7.7 environment to 7.8. 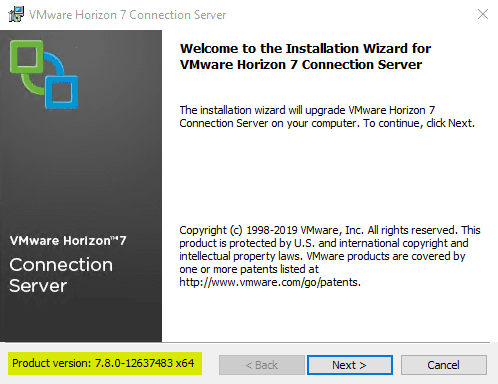 In this post we will take a look at Upgrading to Horizon 7.8 Connection Server to see what this process looks like and how the Connection Server can be easily upgraded. There is a lot of great documentation that can help plan out any VMware Horizon upgrade. One of the first places to get started with any installation or upgrade of VMware solutions is the VMware Interoperability Matrix that helps to determine what VMware solutions/versions a particular product is compatible with. You can visit the VMware Interoperability Matrices here. Just a quick pull of all the VMware solutions that Horizon 7.8 is compatible with includes the following. 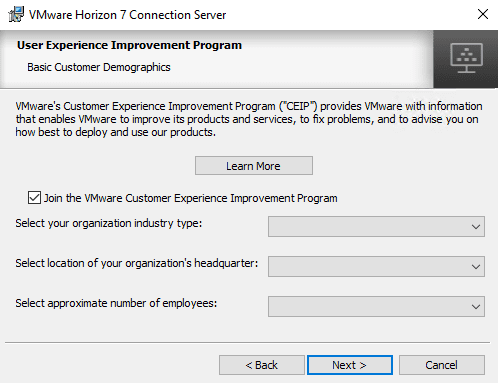 Another great resource to take a look at before performing the upgrade is the Horizon 7.8 Upgrades page that helps to walk through upgrading the various Horizon components. In the Preparing Connection Server for an Upgrade guide, there are things to take note of before upgrading to prepare the environment. 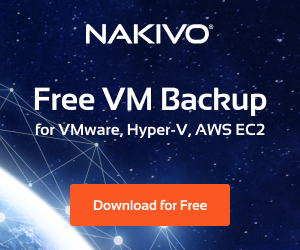 If Connection Server is installed in a virtual machine, take a snapshot of the virtual machine.For instructions on taking snapshots, see the vSphere Client online help. 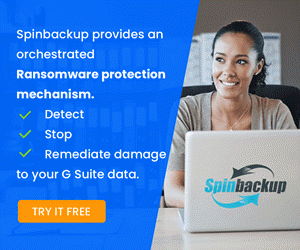 If you ever need to revert to this snapshot and if you have other Connection Server instances in a replicated group, you must uninstall those instances before you revert the master to the snapshot. After you revert, you can reinstall the replicated instances and point to the instance you reverted.You can label the snapshot Upgrade Preparation Phase. Open Horizon Administrator and document all the global settings and settings for desktops and pools: Pools section and Desktops section in the Inventory tree, and the Global Settings section in the View Configuration tree.For example, take a screen shot of the applicable settings. 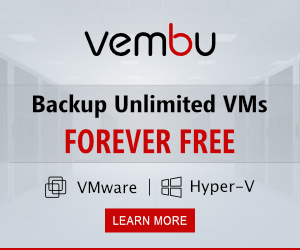 Use the vdmexport.exe utility to back up the LDAP database. 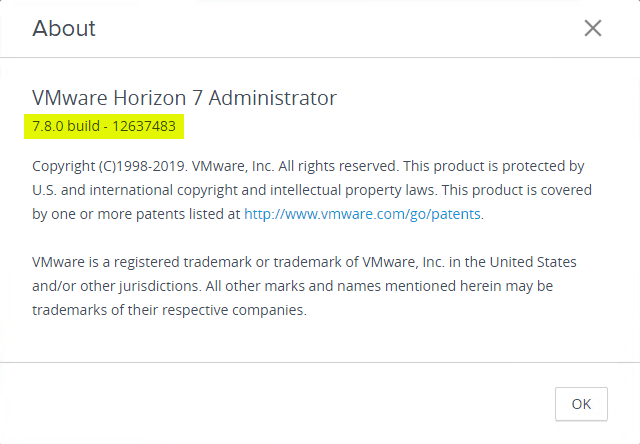 For instructions, see the administration guide for your current version of the Horizon 7 Administration document. 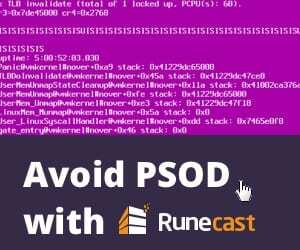 Verify that the virtual or physical machine on which the current Connection Server instance is installed meets the system requirements for the new version.See Horizon Connection Server Requirements. Open Horizon Administrator and document all the settings that are specific to this instance.For example, go to View Configuration > Servers > Connection Servers, select the Connection Server instance in the table and click Edit. You can take a screen shot of each tab in the Edit Connection Server Settings dialog box. Below are the screenshots taken from upgrading my VMware Horizon Connection Server to 7.8. VMware-Horizon-Connection-Server-x86_64-7.8.0-12637483 – 275 MB in size. The installation wizard launches when executing the Connection Server 7.8 file. A message pops up in this version of Horizon detailing the change in authentication behavior including no longer listing out the user domains. Choose if you want to join the VMware Customer Experience Improvement Program. The upgrade is ready to begin. Choose to Install. 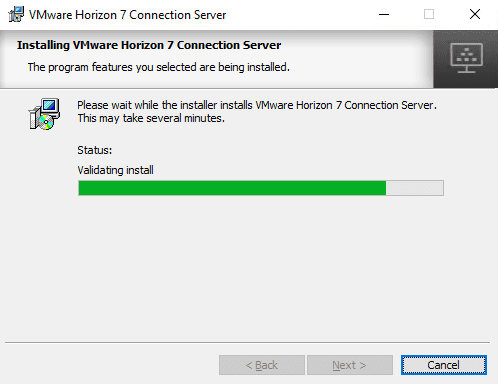 After just a few moments, the VMware Horizon 7.8 installer will complete. You can choose if you want to view the latest documentation. 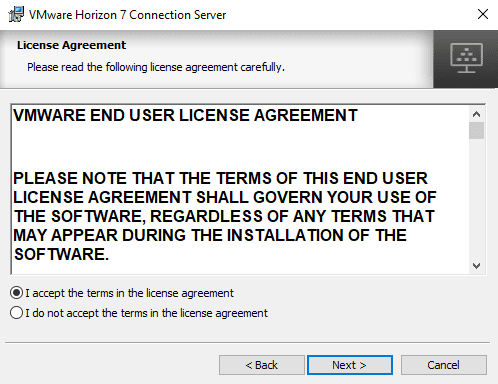 After installing, I launched the Horizon Console interface in Horizon 7.8. In the Horizon 7.8 Horizon Console, I launched the About from the upper right hand corner to see the current build version to verify the version installed is Horizon 7.8 and it is. 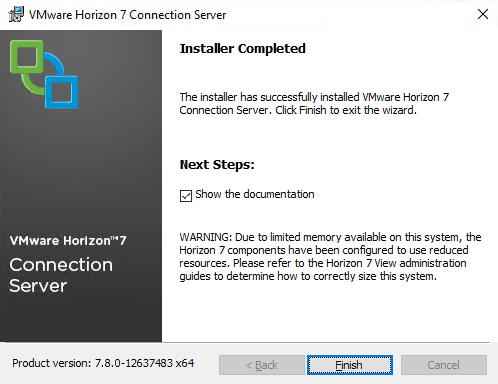 The process of Upgrading to Horizon 7.8 Connection Server is very straightforward and involves running the VMware Horizon 7.8 Connection Server installer. 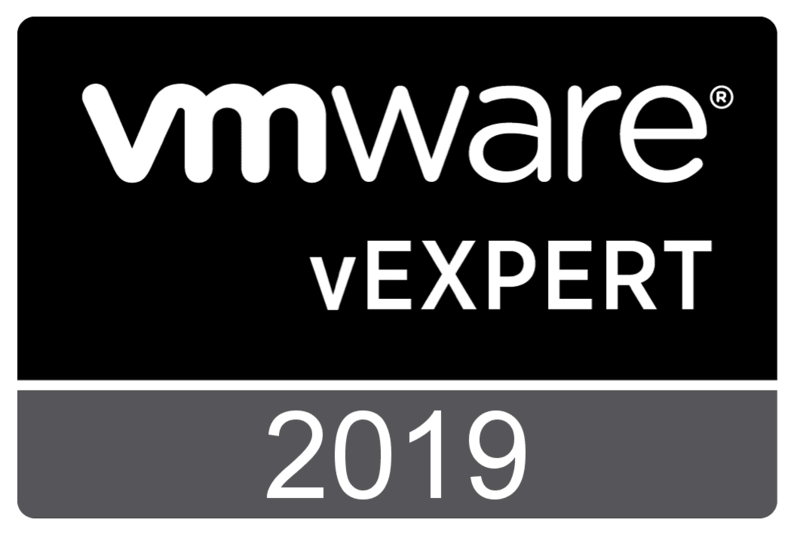 There is more work in reading through the documentation as well as taking other VMware products and solutions into account before upgrading. The actual process will not take any amount of time to complete. Again, just for emphasis, be sure to check out the VMware Interoperability Matrices, and other Horizon 7 Upgrade documentation before proceeding with the upgrade/install.